The Metropolitan Museum of Art in the United States of America (US) is returning two ancient sculptures to India, which were donated to it and found to be of Indian origin after research done by its staff. 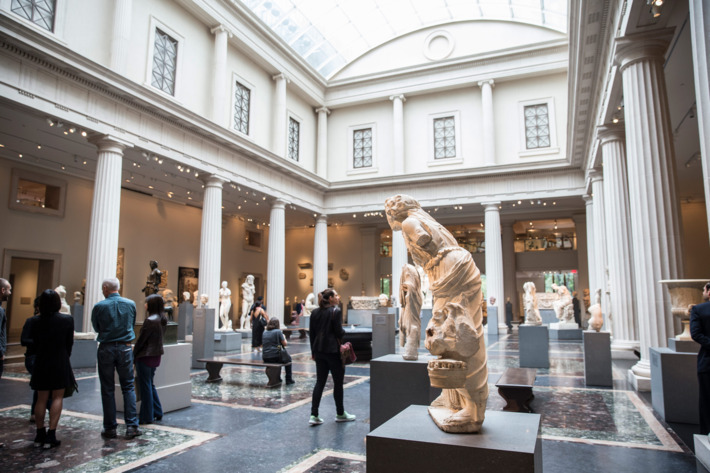 One of the most popular attractions in the US and the roof of the annual, glamorous, Met Gala is the the Metropolitan Museum of Art in New York, also known as The Met, has for some time been the abode of two ancient Indian sculptures, which it is now returning to India. An eighth century stone sculpture of Hindu Goddess Durga Mahishasuramardini and a third century limestone sculpture, which is the head of a male deity will be returned to the Indian government. As per a press release issued by the museum, the stone sculpture of Durga Mahishasuramardini was donated to it in 2015. “In the course of research, the museum staff recognised it from the 1969 publication ‘The Archaeology of Kumann’ by K P Nautiyal, in which the Durga was described as being housed in the Chakravarteswara Temple at Baijnath, a medieval capital in Uttarakhand, in northern India,” the release said. The Museum contacted the Archaeological Survey of India, and The Met and India signed an agreement for its return in April 2018. “We deeply appreciate the sincere efforts and collaboration of The Metropolitan Museum of Art in this return of Indian antiquities to India. We will continue to work closely with the Museum and other US authorities and institutions to identify Indian archaeological art that belongs in India,” said the Consulate General of India. The sculpture of the head of a male deity was a donation to the museum, which it received in 1986. It was recently concluded that this sculpture was part of the excavated inventory of the Nagarjunakonda Site Museum. “The museum is committed to the responsible acquisition of archaeological art, and applies rigorous provenance standards to its collections. The return of these objects to India is warranted, and the museum is grateful for our long-standing, collaborative relationships with colleagues and scholarly institutions in India,” read a statement by the museum.